Gandhak Rasayan 25 mg, Vang Bhasma 15 mg, Oil of Linum usitatissimum 5 mg, Triphala & Tinospora cordifolia each 300 mg, Berberis aristata & Rubia cordifolia each 200 mg, Withania somnifera 100 mg.
Takzema Tablets is the non-steroidal remedy for eczema (atopic dermatitis), contact dermatitis. Suddha Bakuci, Nimba beejam, Prapunnada, Karanja, Rasmanikya, Tvak, Sthulaila, Tvak patra, Nagakesara, Sunthi, Shuddha gandhaka, Guduchi, Trifla, Bhringaraja, Nimba tvak, Nimba patra. Neemol Tablets helps in treating Scabies, Eczema, Urticaria, Dermatitis, Skin Allergies, Fungal & Bacterial Skin Infections, Psoriasis. 1 – 2 Tablet to be taken twice daily with water. Mundi Butti, Pitpapra, Mastyara, Sarfooka, Chob Chini, Choti Harad, Mehndi, Chirayta, Anantmool, Ushba, Neem Leaves, Daru Haldi. It is very helpful remedy to treat Acne, Pimples, Scabies, Skin diseases, Dermatitis, Eczema, etc. 10 ml (2 Teaspoonful) to be taken with 100 ml of warm water, 2-3 times a day. The cleanser making involves the blending of traditional Ayurvedic formulae. A fine natural base is prepared and extracts of fruits, flowers and vegatables are skillfully added. It is hypo-allergenic and clinically tested to be gentle and non-irritating. 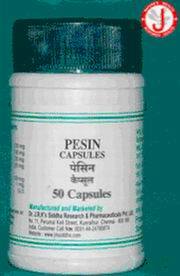 Regular ise makes the body free from skin problems like ringworm, scabies and dermatitis infection. It leaves skin clean and healthy looking.